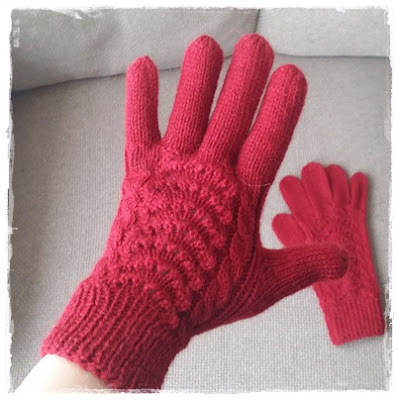 I love these mittens! They are both adorable and a manageable knitting project. Same pattern and yarn as the ones I knitted for my Norwegian folk costume. This lovely red pair is a birthday gift for a friend of mine.